I’ve seen the future: the world cup tournament is being played on the moon, and Sepp Blatter has had himself cryogenically frozen until his reputation for corruption blows over and he can return as head of FIFA. No, of course that’s nonsense. But I have recently come across something that I really do believe will become a part of the future. Something that I think may change the way many of us manage injuries. I give you two words: online physiotherapy. If you’re anything like me and you’ve got your trusty skeptics hat on, you’ll be seriously suspicious about how that might work. Luckily, I’ve already given it a try using JimJam, one of the new wave of online physiotherapists. And without giving the game away, I think it’s rather good! I booked an appointment* with Paul Bryce, Clinical Director for online physio service JimJam, to check out exactly what it involves. Using their own website, you’ll book an appointment with JimJam, fill in a few details about yourself as well as the injury you’re suffering with, then you make payment and you’re ready for your first appointment. It’s all very straightforward, and I found the process very easy to follow. Appointment availability is also pretty good at the moment, you can get seen fairly quickly (something that can’t always be said of my local physio). When your appointment is due, you should log in a little early in order to make sure that your video technology works. You can attend your appointment in the comfort of your own home or office using your computer, tablet or smartphone – as long as it has video and microphone. No need to go to any special efforts for it, but probably best that you’ve changed out of your SpongeBob pajamas. The initial consultation lasts around 20 minutes, and it’s all recorded, for your reference. In fact, I conducted my whole interview with Paul over the video link too. How does an online physiotherapy appointment work? Essentially it works the same as any normal physio appointment would. It starts by the Physio, in my case Paul, introducing himself and asking me a couple of data protection questions to establish who I am and my relevant contact details. Don’t worry, the physio guides you all through this. By asking these sort of questions and exploring the behavior of your symptoms, what aggravates or eases them, it starts to provide the physio with an indication of the nature of your problem. Obviously you’re going to want to make yourself seem like a hero when you’re describing your symptoms, but don’t overdo it on the stories – there’s a time limit on the appointment. With all of that done, the physio will arrive at a working diagnosis. They’ll explain it to you and tell you what you can expect, including how long that might keep you off the football field. Treatment and rehabilitation – how you can see which exercises you need to do (and how to do them)? Once you’ve understood the issue, attention will turn to discussing how it can best be managed, and what can be done for rehabilitation. When it comes to giving you exercises to work on, you’re obviously not in the same room as the physio, so they probably won’t watch you doing the exercises they give you. Instead, that’s taken care by sending you a personalised exercise plan after the call: “the rehabilitation advice that we send to people is in a package that is in an online video where you see the person doing the exercise correctly. It has a voiceover that tells you what they’re doing and why they’re doing it,” says Paul. If more follow-up appointments are needed, you’ll be advised of this and they can be booked. Otherwise, like with any physio, the rest is up to you. 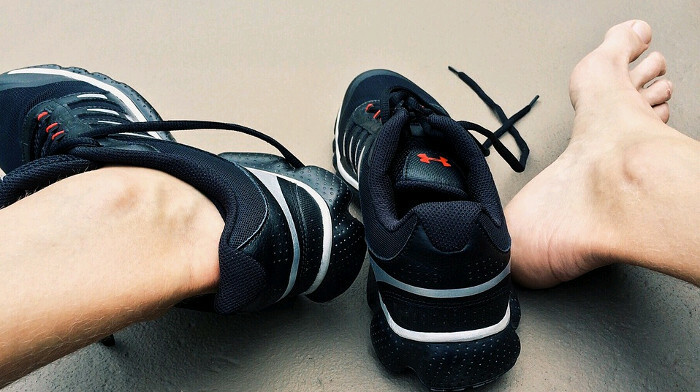 You’re in charge of getting the exercises done and managing your own road to recovery. Firstly, it’s worth pointing out that if you’re using a legitimate online physiotherapy service like JimJam, you’ll only be seeing trained, qualified clinical professionals. Self-certified witch-doctor types are exclusively for other, shadier, corners of the internet. In the case of the physio that saw me, Paul has sixteen years of clinical experience under his belt as well as experience working in professional sport. He knows what he’s talking about, as should the other JimJam physios who all work in real clinics across the UK. You’re talking to professional people who are trained to diagnose your case and also look for what they call ‘red flags’. For instance, they’ll always ask about history of cancer or tumors, or whether there is any acute bleeding, for example. Such complications are quite rare, but nevertheless, if they’re identified by your online physio you’ll be advised to go and see the relevant people, such as your GP, or the hospital. If the physio can’t deal with your case, or there are complications spotted, they’ll refer you on to others. The point is, an online physio has the same duty of care as any other and has no interest in jeopardising your health. 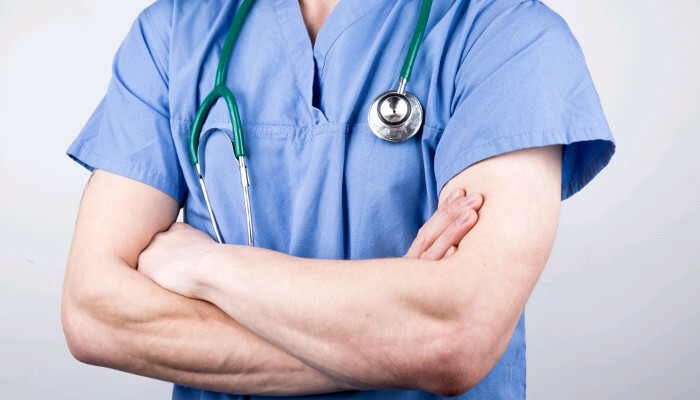 If they identify that they can’t adequately manage your problem, or other professionals should become involved, they will refer you on and can liaise with those healthcare professionals. Can online physio really be effective? Don’t you need to be hands-on? For me, the big question mark that I had with all of this is whether the whole premise of online physiotherapy actually makes any sense. I had the idea that it was more of a hands-on discipline. Sure, you can establish a clinical relationship with your physio just as well over a video call as you can in person. But I’ve been to physio appointments in the past and I recall that they’ve been hands-on in both the diagnosis and the treatment of my problems. No online physio can do that. Active rehabilitation basically means doing exercises to strengthen and align the affected area. Rather than just lying on a treatment table, which is more like manual therapy. By its very nature, online physiotherapy can’t provide manual therapy, like sports massage. Perhaps, however, that forces it to be more efficient – to cut out the temporary relief and focus instead on the activities you can do to aid your recovery. For a lot of people, their image of physiotherapy is more hands-on, like this. How much does online physiotherapy cost (and is it worth it)? One of the biggest benefits to online physiotherapy is clearly the convenience. You’re not travelling far out of your way, missing work to attend physio appointments. JimJam fits round your schedule. But there’s a second BIG draw here, and that’s the cost. It’s currently only £19.99 for an initial appointment of between 20-30 minutes. Follow-up appointments are priced similarly. In my book £19.99 for a physio appointment is a screaming bargain. There’s no physio in this country (UK) who would see you in person for that price. In fact, if you want a 30-minute appointment in person then you’re looking at £40 at the very least, possibly paying well over £100 if you’re trying to see a physio in London, where I’m based. With an online service you’re getting all the same access to the knowledge and experience of a physio, but at a much reduced cost. When should I go and see a physio instead of a doctor? And when should I just let things heal without seeing either? We’ve already covered this in a previous article: should I see a physio, but I was interested to get Paul’s take on it too. According to him “it depends how it is affecting you functionally. If you’ve got an ankle problem, for example, and after the game you are thinking that’s a little bit sore but I can walk, there’s no swelling, no bruising, I can function I can get my shoes on I can drive my car. this is maybe something you might be thinking ‘I might just try and manage this myself’. If you’ve got an injury, you want to make sure that you’re doing the right things for it to heal – a physio can advise you on this. The overall verdict – hit or miss? I’ll be honest, I was extremely skeptical on hearing about online physiotherapy. But I’ve been forced to reassess my views. For me, it’s about whether it’s worth the money, and in my book it’s a yes. If you’re short on time, or money, or particularly if you’re short on both of those, then this is a compelling alternative that you should look at. Ultimately, would I be prepared to pay the £19.99 fee out of my own money for this service? Yes, yes I would. Where I am based, a physio appointment would easily cost three times the price JimJam are charging, and then I’d also have the inconvenience of having to go out of my way to visit the physio practice. Don’t get me wrong, I’m not saying those sorts of physios don’t have a place, but for the cost and convenience, I’m certainly willing to give this online model some more goes. I’m on board with this new model, but I’d be really interested to know what you think. Do you think that you’d want to see an online physio, or is it still the in-person appointment you’d favor. 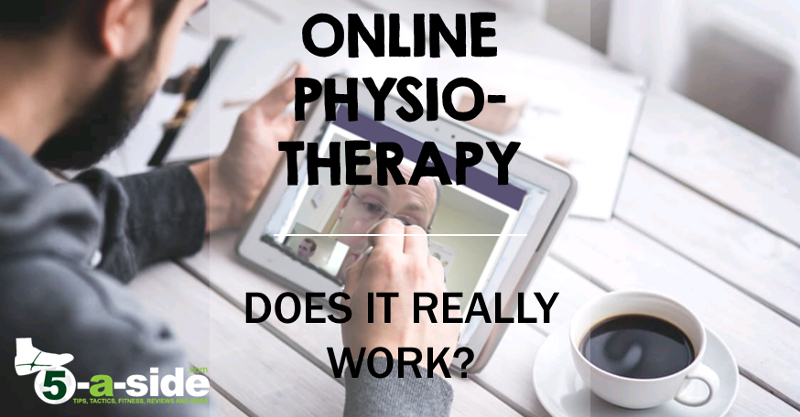 Have you used online physiotherapy, what was your experience? Let’s get some chat going below. *Note that in order to provide a review of the JimJam system, 5-a-side.com was provided with a free consultation (although to be quite honest, we weren’t really suffering badly with an injury at that point). However, the article is intended to be a true and honest assessment of the service JimJam offers, and other online physios are also available. None of the above article is intended to constitute medical advice – please seek the professional view of your own doctor or physiotherapist. Finally, 5-a-side.com does not have any ongoing relationship or receive any fees from JimJam. It’s a natural progression for the physio profession. As a physio myself, I have always encouraged patients to be their own physio and buy into rehab. Best of luck JimJam. Laura, it’s great to get a fellow physio’s perspective on it. I do think that this will become a part of the market in the coming years, but how big it becomes, it’s difficult to guess! Interesting to hear about this new trend of healthcare. I’d already heard about online doctors so physios makes sense too. Naturally I’d be more inclined to see a physio in person but the sheer cost and convenience does make me think I should give this online physiotherapy thing a try! Hi Adam, thanks for the comment. I can see some people being reluctant to give this a go, but glad that you want to give it a try. If you do give it a go, come back and let us know how you get on.